Image: Lee Holden, Serve My Soul, 2018 (detail)(foreground), Elena Montesinos, Highway to hell, 2014 (behind). Photograph copyright Paul Tucker. Steve Carr, Jake & Dinos Chapman, Cedric Christie, Jean Luc Dubin, Lee Holden, Graeme Miller, Simon Liddiment, Stacie McCormick, Elena Montesinos, Owen Oppenheimer, Ben Philpott, Jay Price, Pascal Rousson, Rebecca Scott, Gavin Turk and Tisna Westerhof. Auto-Destruct, a group exhibition of works relating to and reflecting upon the nature of our aspirational technological inventions and the destructive nature they become. Many of the works regard the automobile as the device that was seen as liberation, independence, a revolution for mankind, that has in fact led to wars, contributed to climate change and is responsible for over 3000 deaths a day. The ubiquitous vehicle is not scrutinised for its monstrous reality and current car branding still sells a lifestyle as a symbol of wealth & glamour and independence. The exhibition’s title Auto-Destruct is inspired by the work of Gustav Metzger (1926, Nuremberg – 2017, London). Metzger’s career was about alerting us to the risks in our deluded pursuit of technological progress, and of humans being eclipsed by their machine selves. Auto-destructive art was inherently political; also carrying anti-capitalist and anti-consumerist messages. The exhibition examines themes of our fascination and capacity to be seduced by world changing inventions and technologies that may or may not lead to improvements. 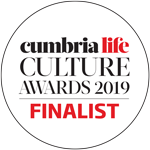 Rebecca Scott and Mark Woods have been delighted with the response from visitors who have welcomed the “fresh new space” in Kendal and the work that Cross Lane Projects has added to Cumbria’s vibrant cultural scene. The Auto-Destruct inaugural exhibition was at Unit 1 Gallery | Workshop, London, from April to May 2018. Senior lecturer in film at Ilam School of Fine Arts, Christchurch, New Zealand. He has established a name as a contemporary visual artist through an extensive exhibiting history over the last fifteen years in public galleries, project spaces and dealer operations within New Zealand and overseas. Recent solo exhibitions include; Variations for Troubled Hands (Ashburton Art Gallery, Ashburton (2017), A Manual for Small Archives, Centre for Contemporary Photography, Melbourne (2016), Bullet Time, Wellington City Gallery (2016), The Science of Ecstasy and Immortality, Michael Lett, Auckland (2015), Stretching Time, Duned in Public Art Gallery (2014), and Smoke Films, Institute of Modern Art, Brisbane (2012). Alongside this, his work has been included in a vast array of group exhibitions in New Zealand and internationally over the last decade. Iakovos “Jake” (b. 1966) and Konstantinos “Dinos” (b. 1962) are British visual artists, often known as the Chapman Brothers. Their subject matter tries to be deliberately shocking, including, in 2008, a series of works that appropriated original watercolours by Adolf Hitler. In the mid-1990s, their sculptures were included in the YBA showcase exhibitions Brilliant! and Sensation. In 2003, the two were nominated for the annual Turner Prize but lost out to Grayson Perry. In 2013, their painting One Day You Will No Longer Be Loved III was the subject of Derren Brown’s Channel 4 special, The Great Art Robbery. Most recently Jake & Dinos Chapman: March of The Banal, ARoS Aarhus Kunstmuseum, DK. Cedric Christie (b. 1962) is a London based artist, where he continues to live and work. His practice explores a broad range of cultural and art historical references, often using humour and irony as subtle vehicles of communication. 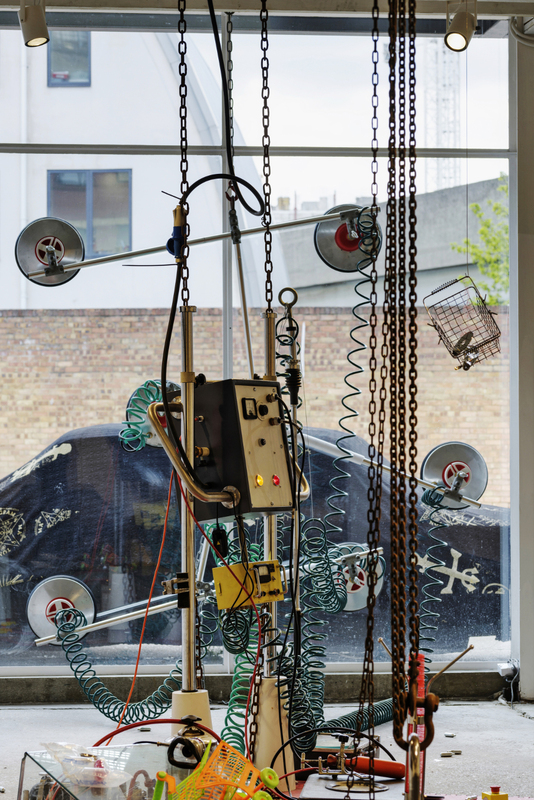 He incorporates and manipulates everyday objects such as snooker balls, scaffolding, and even cars to create sculptures that are meticulously and skilfully made. They become both a critical appraisal of modernism as well as a playful exploration of form and meaning. Cedric Christie has exhibited widely in the UK and internationally and has curated a number of large-scale group exhibitions including Something I don’t do and The Things of Life at Flowers Gallery. His work is held in the private collections of Anita Zabludowicz, Unilever and Derwent Valley Holdings, among others. Recent Solo exhibition in William Bennington Project Space, Bermondsey. (b. 1949) A darkroom, a red light, the revelation the moment the print appears in the tray. Then, the need to travel, street photography, portraits, working the human dough. And as influences: Koudelka, Cartier Bresson, Depardon, Penn. And then, stepping outside the framework, fine arts, music, conscious and unconscious experiments. Understanding how to use speech through pictures, simply and sincerely. Living and working near Paris, France. Lee Holden has exhibited widely at both national and international venues. Recent exhibitions include the group show 17x24, Every Day is Good Day, at Magazin 4 Bregenzer Kunstverein, Bregenz, Austria (2018), the group show I Can’t Go On, I Go On, at Gallery 46, London (2018), video work (in collaboration with artist Josephine Wood) screened as part of Sick Monday held at the Genesis Cinema, London (26th March 2018), a group show Feed London’s Hungry– Felix Projects at The Nunnery Gallery, London (2017) and solo show Insnar’d with Flow’rs, I Fall on Grass, at Angus Hughes Gallery, London (2014). He currently teaches on the Fine Art and Digital Media Courses at Lewisham Southwark College. (b. 1964) is a UK based artist. His practice is located somewhere in the stand-off between words and objects, in the visual and verbal slippages that occur between what may be spoken or written, and the physical stuff of the world. The work is epigrammatic in the best sense – concise, paradoxical and witty – revealing an attempt to understand something and share his findings. It is about locating an appropriate form for the observation. It is somehow about containment. How it all fits together remains important – the shape of the idea, the shape of the material it comes in and the shape of the thing. (b. 1962 in USA) Is a multidisciplinary artist. Conceptual pieces for Auto-Destruct came from a long established conflict of the love of car design as well as the romance of their glamour at odds with the damage inflicted. McCormick also paints from the layered evidence of time in the urban landscape. Documenting, photographing and sketching from the city environ, McCormick endeavours to emulate this layered evidence of time in her gestural abstract painting practice. The happened upon is often enough and results in an photograph or will form the basis of a series of paintings. McCormick’s recent solo exhibition In Search of Paintings (Meno Parkas, Kaunas, Lithuania). & THE MONTESINOS FOUNDATION play around with what is around: money, official documents, trends and disinformation are amongst the favourites. TMF often works in collaboration with various other artists and aims to endorse inspired and independent individuals wanting to bring ambitious projects to life. TMF gives them the possibility to achieve their goals out of the beaten track of a very codified art world by uniting forces, using art as an iron hand inside a velvet glove. With the help from various “free spirited” NGOs, Swiss sponsors and occasional international partners TMF organises Awards, Charity Nights, Special Events and Self-Curated art shows with a complete freedom of mind and a splinter of merry disobedience. THE MONTESINOS FOUNDATION IS NOT A SERVICE. (b. 1969 in USA) did his BA(Hons) in Fine Art at Cheltenham School of Art, followed by postgraduate studies at l’Institut des Hautes Etudes en Arts Plastique in Paris and the Rijksakademie in Amsterdam. His work has been shown in exhibitions internationally, screened at film festivals in Europe, Asia and Africa, and broadcast on tv in the UK and the Netherlands. In his other life as a film editor he has also worked on numerous music videos for amongst others, Kylie Minogue, Jack White and David Bowie. Oppenheimer’s work lies on the interstice between art and cinema, examining trapped psychological states through objects, prints, short films and installations. Unsettling and blackly humorous, the work employs suspense and a sense of the absurd to explore themes of identity and its loss, notions of the uncanny in the everyday, and the human propensity for accidents and failure. Like something glimpsed out of the corner of one’s eye. Or scraped out of it. He lives and works in London. Ben Philpott grew up on the south coast of England. He has lived in the west of England, Scotland, and in London, and has travelled extensively across the world. His work is centred around the way in which we need colour, form, and language, as salves for our unexplained lives. Philpott’s photographic archive speaks of this through a range of material and subjects. His written work, and his painting also regard our yearning for the salves of colour, and of words. Price studied at Royal College of Art, and works primarily in unique, large-scale printmaking, but their practice also includes video, endurance performance, installation, and sculpture.Process is integral to the artist’s practice and each artwork. Often ambitious, painstaking and fastidious the methods in which the works are made offer a deeper insight into the purpose and intention behind them. Jay’s collaborations extend beyond the art world in search of human relationships that influence and enlighten new perspectives and ideas. The artwork often involves elements of audience interaction. (b. 1963) graduated from Beaux Arts de Lyon in 1985, and from Geneva School of Visual Art in 1991. Rousson now lives and works in London. His latest works are part of a series in which he is revisiting Cubism through popular culture. In this case with a cover version of Picasso’s 1910 Portrait of Wilhem Unde as Iggy Pop or Georges Braque’s 1913 Woman with a Guitar as Black Sabbath; re-enacting through painting the idea of fragmentation, collage and cut-out of the subject, as in Cubist paintings, where figures and objects were dissected, cut or “analysed” into a multitude of small facets. (b. 1960 in Cumbria) Rebecca Scott studied in London at Chelsea School of Art and Goldsmiths University. She has exhibited in London, Cumbria, Spain, France, Germany, Sweden and Norway and has work in private and public collections nationally and internationally. She currently lives and works between London and Cumbria. The underlying concept running throughout her work is one of female desire and female subjectivity. For over 30 years, since graduating with an MA from Goldsmiths in 1987, she has worked with these themes progressing through a series of subjects across painting and installation, aiming to create her own visual language. (b. 1967) is a British born, international artist. He has pioneered many forms of contemporary British sculpture now taken for granted, including the painted bronze, the waxwork, the recycled art-historical icon and the use of rubbish in art. Turk’s installations and sculptures deal with issues of authorship, authenticity and identity. Concerned with the ‘myth’ of the artist and the ‘authorship’ of a work, Turk’s engagement with this modernist, avant-garde debate stretches back to the ready-mades of Marcel Duchamp. Turk’s appropriation of Lucio Fontana’s punctured egg paintings symbolise life, creation and originality. Turk’s ovoid canvases, however, are punctured with buchi (‘holes’) and tagli (‘slashes’) to spell his own initials. Tisna takes the fabric of domestic life, from family snaps and children’s clothes to ceramics and embroidery, and reconfigures it into work that explores nostalgia, identity and the loss of innocence. While her practice is grounded in printmaking, Tisna revels in breaking down the limitations of materials and reinventing traditional handicrafts. She produces highly tactile works that capture a child like sense of delight with a combination of humour and melancholy. As one of a twin, Tisna is fascinated by dualities and her personal experience of losing an older sister suffuses her work with warmth, intimacy and a sense of the precariousness and fragility of what we treasure.